In the first two books in his wildly popular The Theoretical Minimumseries, world-class physicist Leonard Susskind provided a brilliant first course in classical and quantum mechanics, offering readers not an oversimplified introduction, but the real thing – everything you need to start doing physics, and nothing more. 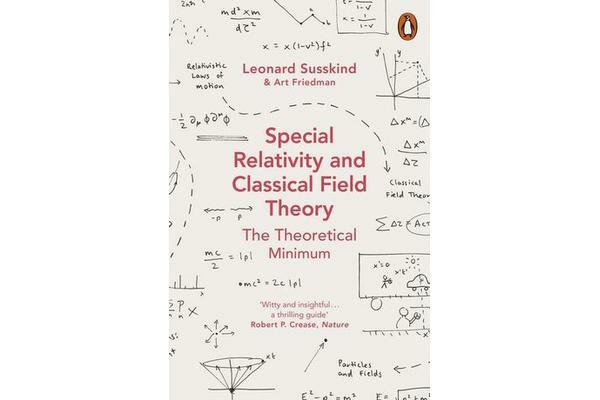 Now, thankfully, Susskind and his former student Art Friedman are back, this time to introduce readers to special relativity and classical field theory. At last, waves, forces and particles will be demystified. Using their typical brand of relatively simple maths, enlightening sketches and the same fictional counterparts, Art and Lenny, Special Relativity and Classical Field Theory takes us on an enlightening journey through a world now governed by the laws of special relativity. Starting in their new watering hole, Hermann’s Hideaway, with a lesson on relativity, Art and Lenny walk us through the complexities of Einstein’s famous theory. 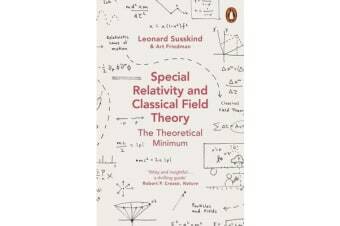 Combining rigor with humour, Susskind and Friedman guarantee that Special Relativity and Classical Field Theory will become part of the reader’s physics toolbox.